Chalcot Square must be one of the prettiest places in London, with its pastel-painted stucco houses set around the public garden in the middle. 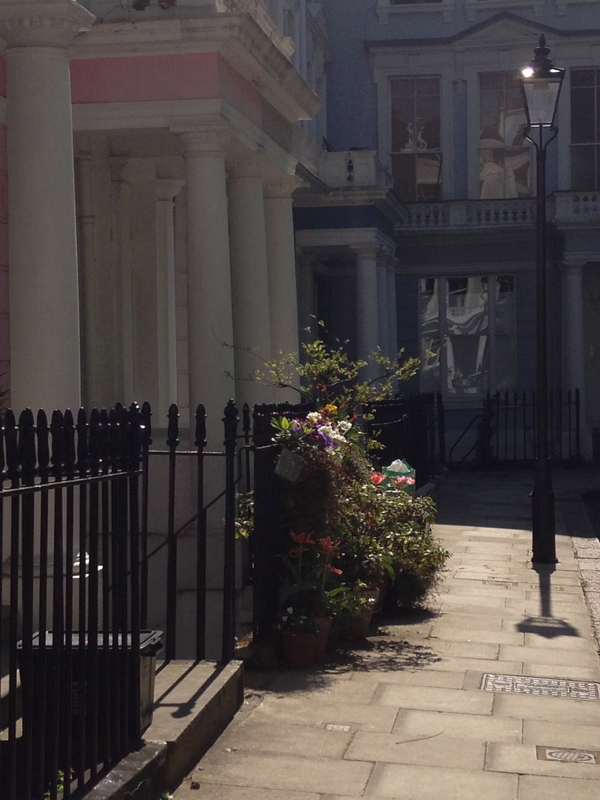 Part of the square’s charm, and this could also be said for Primrose Hill in general, too, is the mixture of smartness and slightly crumbly, faded gentility. 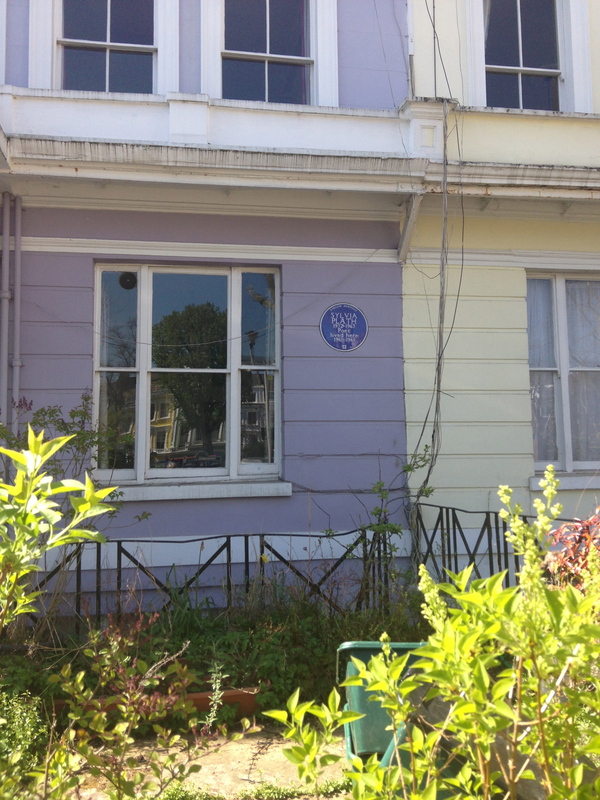 Against this charming and lived-in backdrop is to be found a Blue Plaque to commemorate Sylvia Plath (1932-1963), who lived here with Ted Hughes for a short time from 1960-1961. It’s hard to consider the American writer and poet without peering through the tinge of regret for her recurrent depression and finally her suicide, around the corner at 23 Fitzroy Road – but her influence and renown as an author extend beyond her sad demise. She was awarded the Pulitzer Prize posthumously for the Collected Poems, becoming the first poet to win it after death; and her semi-autobiographical novel, the Bell Jar, is still highly-regarded and to be found on A-Level English Lit reading lists. 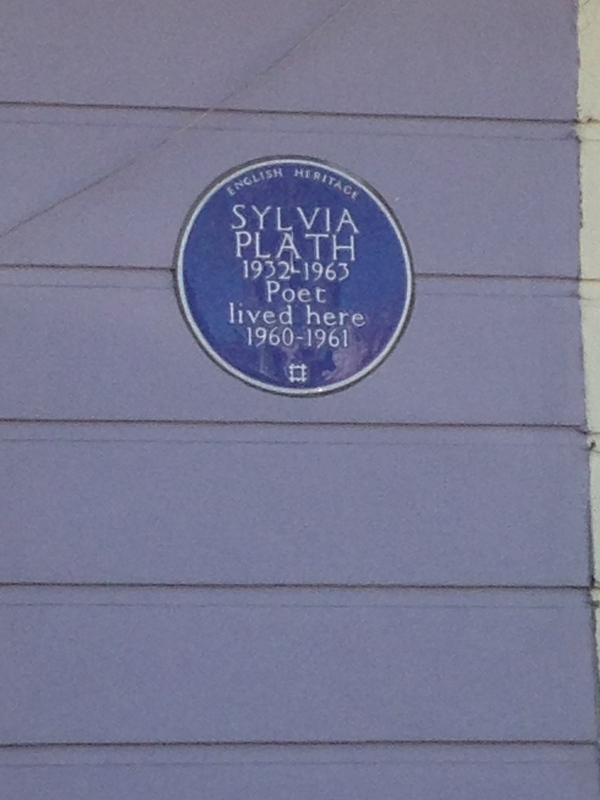 Plath’s Chalcot Square plaque must surely be one of our best-known and most cherished landmarks. 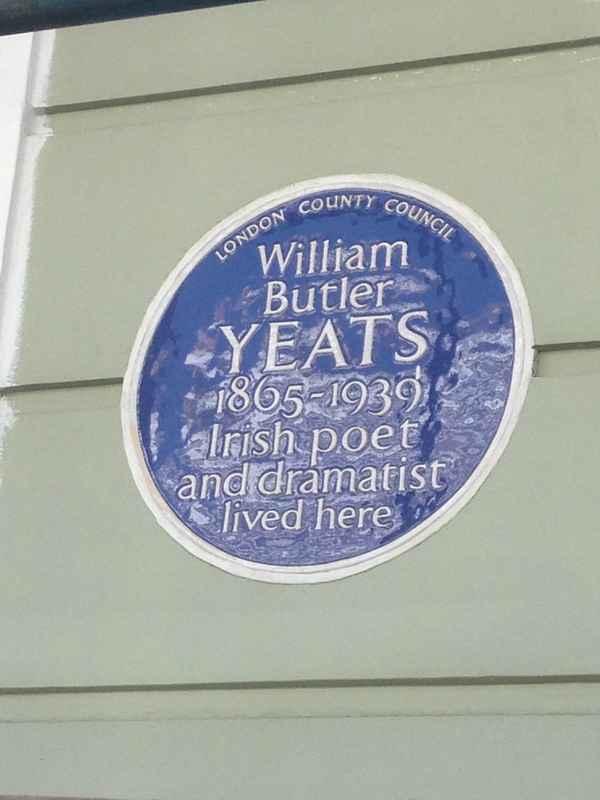 Meanwhile, 23 Fitzroy Road has not gone unmarked; long before Plath and her children came to live there, this pretty terraced house was home to poet and writer WB Yeats (1865-1939). For his poetry, he became in 1923 the first Irishman to win a Nobel Prize. Yeats lived in this house as a small boy, when his family moved from Sligo in 1865 so that the father, John, could pursue his career as an artist. These houses, close to the junction with Chalcot Road, were built around 1860, so the neighbourhood was still newly-developed when the Yeats family arrived. This house doesn’t have a plaque to Sylvia Path, but on the anniversary of her death flowers are left here, presumably by admirers of her work. I was drawn here while doing a tag search for “Sylvia Plath’s posts. I appreciate seeing a site where she once lived. Perhaps I’ll visit there one day. I would love for you to check it out as you have the chance and comment if you feel so led. Thanks for taking a look at iLovePrimroseHill.com, and for your comment. Sometimes I tweet links to press articles about Plath from @_Primrose_Hill, my related Twitter feed. There’s one from yesterday that you might find interesting. And I will certainly take a look at your post on Plath.